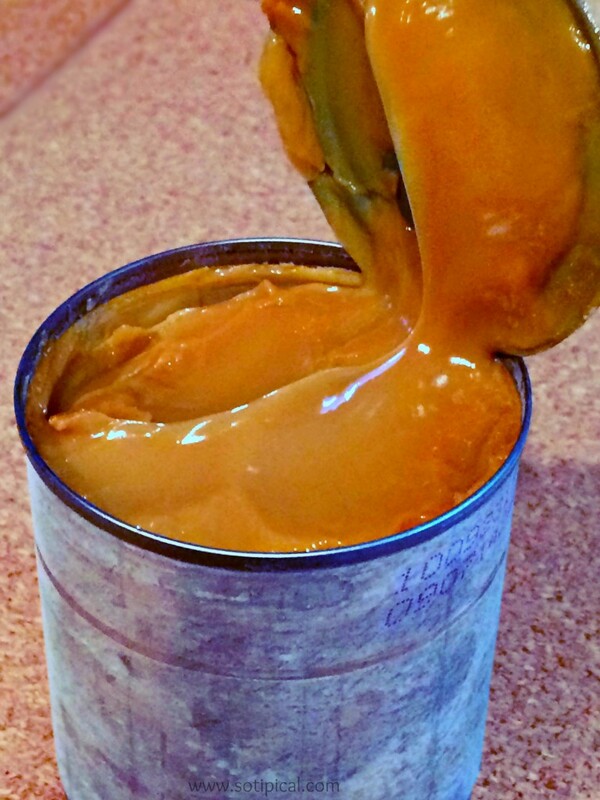 If you love thick and rich caramel, than this homemade dulce de leche recipe is for you! I can’t believe how easy and effortless this is to make! I have an incredible weakness for caramel and you’d be surprised to know that this is the first time I actually made it myself! When I was a child, my parents used to make this now and then as a special treat. We liked it on ice cream, but someone in the house used to eat it with a spoon, right out of the container! As much as I love caramel, and I really love it, thats a little much for me! So all you need is ONE ingredient. 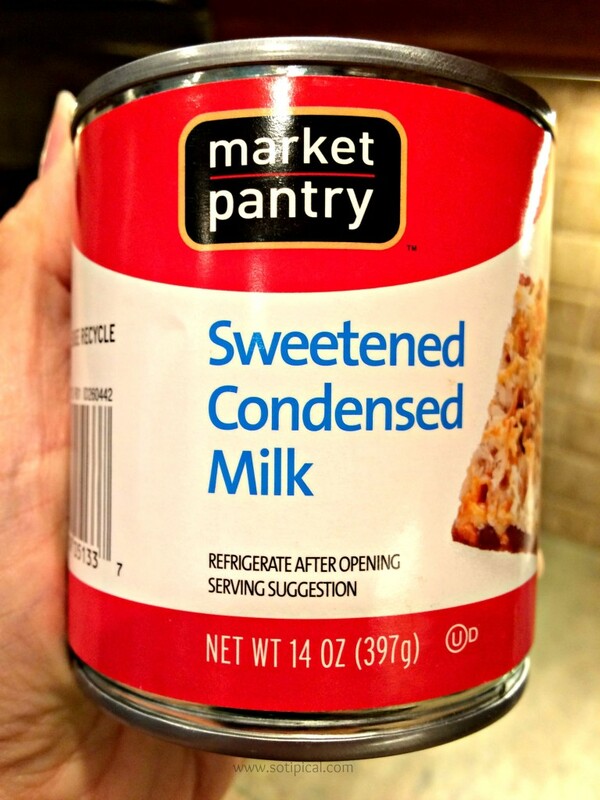 One can of sweetened condensed milk! Thats it! I told you it was easy, but its not quick. Remove label from can. 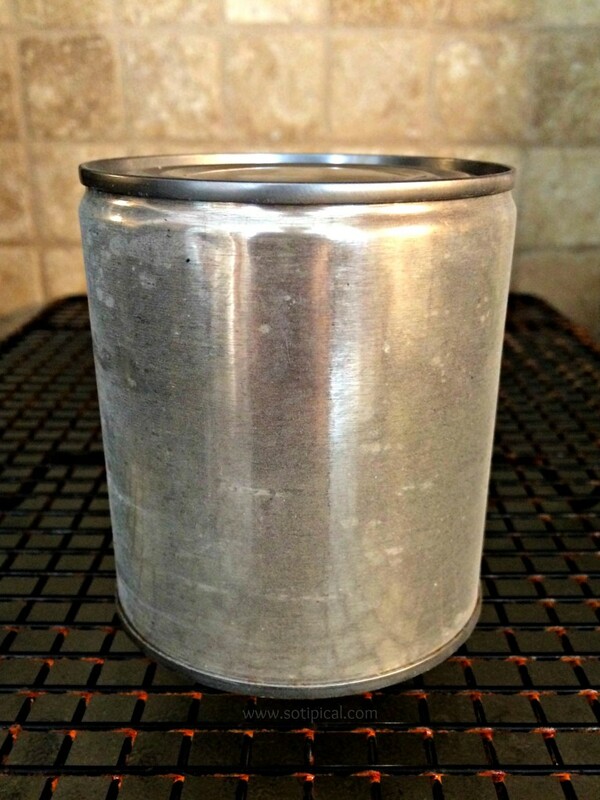 Place can on its side in a LARGE POT. Fill the pot with water so the water line is at least a full inch or two above the can. Bring to a slight boil over med-high heat. 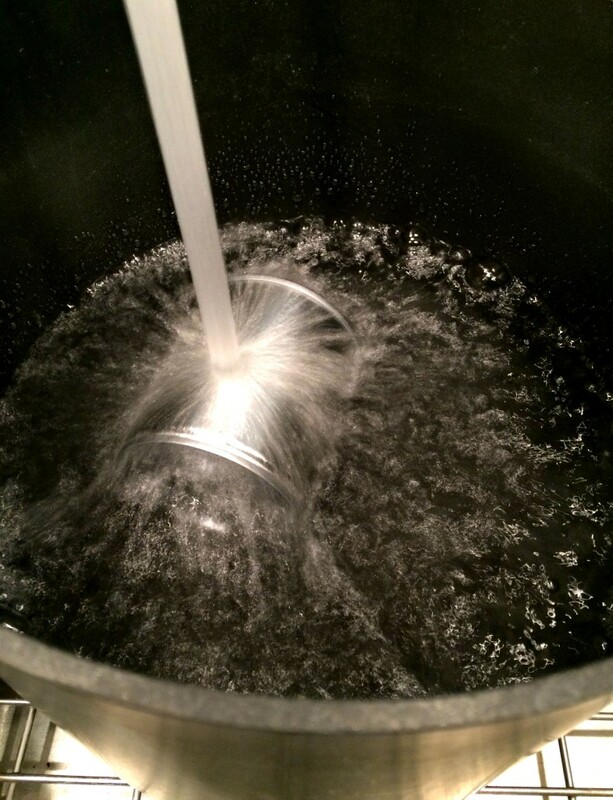 Once the water begins to boil, reduce the heat to keep it at a simmer (simmer is the point just before boiling). Cover and cook for 2-3 hours. Periodically check to make sure the water line hasn’t gone down and that it is not in a rolling boil or the caramel could burn. I cooked mine for 2 hours. Carefully remove the can with tongs and place on a wire rack to cool completely. Do not open the can while it is hot or the pressure could cause the hot caramel to explode spurt out and you could really burn yourself. Be careful! So now that we’ve made Homemade Dulce de Leche, how should we serve it??? First up was a Homemade Dulce de Leche Latte. It was Ah-Maz-Ing! Put a spoonful of the caramel at the bottom of your glass. Add ice, then pour cold coffee over the top. Add whipped cream and serve. A sprinkle of cinnamon on top would be even better! (Wish I thought of that at the time!) 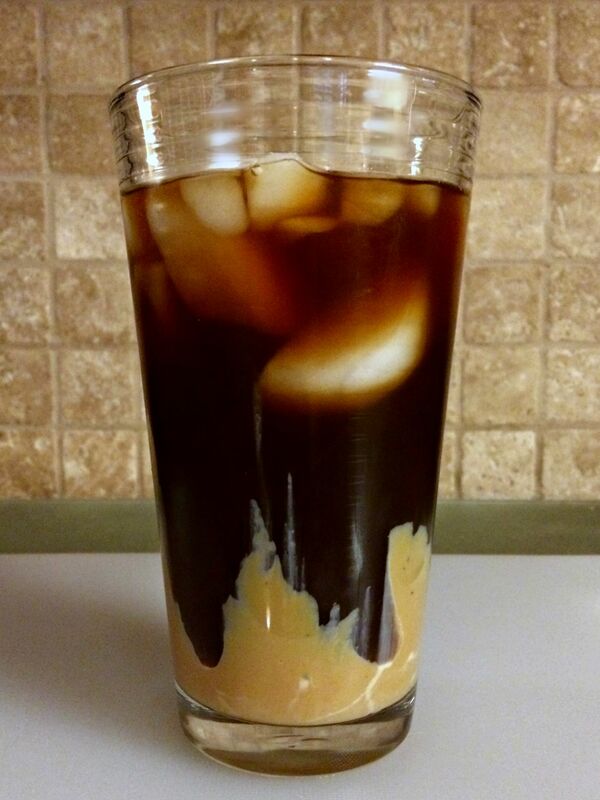 As the caramel begins to dissolve, you will get a nice sweet & creamy iced coffee. 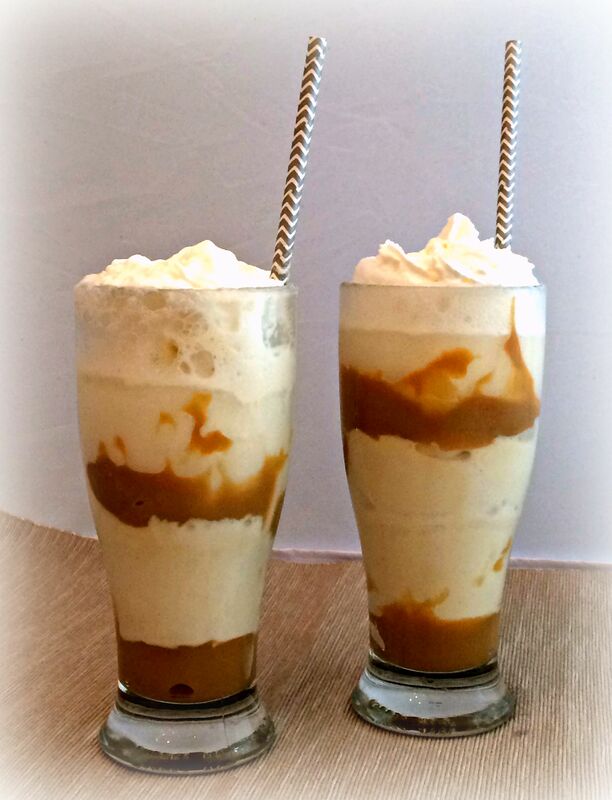 The kids enjoyed Homemade Dulce de Leche Floats! In a tall glass, add a spoonful of the on the bottom. Add a scoop of vanilla ice cream, then another spoonful of the homemade dulce de leche, and another scoop of vanilla ice cream. Pour seltzer over the top, along with some whipped cream. It would be good with chocolate too, but we really love vanilla with caramel. Another great use for some Homemade Dulce de Leche would be cupcake filling! I can’t wait to try that. How else would you use it? Those floats look amazing! 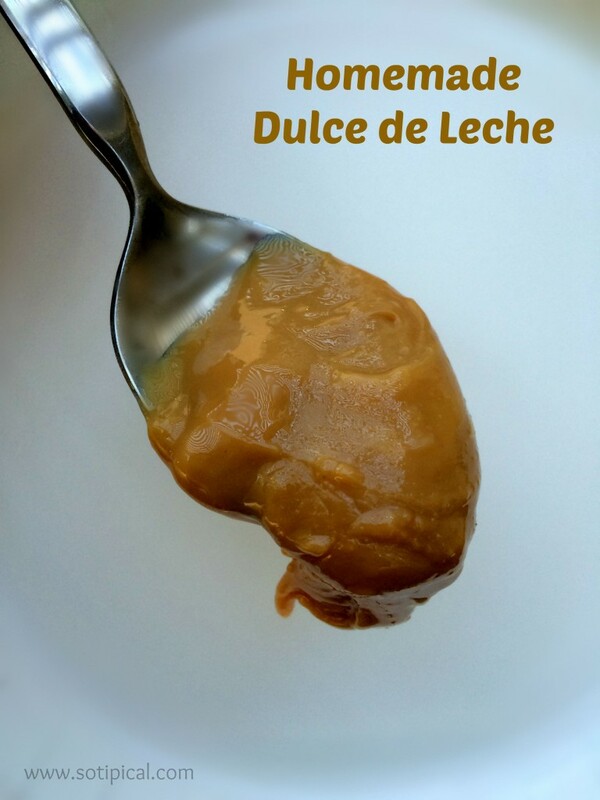 I had no idea Dulce de Leche was so easy to make! It is very easy! And I did taste one of the floats and they were really good! Wow thats a lot! But it is really yummy! I can’t wait to bake with it. This is great. I’ve seen it around before but I’ve been too nervous to try it! I think this post convinced me! I know what I’m doing this weekend! I would love for you to come link up with us over at Throwback Thursday’s going on tonight and all weekend long! This looks fantastic.Look really yummy! I love caramel, and this sounds delightful, am sure gonna have to try it. Thanks Nellie! So would I! No way………this is the method my grandmother uses to make a caramel sauce that we eat every Christmas with her famous carrot pudding. The pudding is an old Scottish recipe that looks like a fruit cake more than pudding. It is so good though. I can testify that the caramel is delicious. Thanks so much for sharing this with all of our Let’s Get Real readers. This looks so easy! I’m going to have to try it. I love all the ways you have used it, but that latte might take the cake. Oooh! This looks so easy and yummy. Who knew you could do this with a can of condensed milk? Thanks for sharing at the Let’s Get Real Link Up! OMG this looks fabulous! I love that you put it in coffee! I’d probably do that too! I’ve heard of this method before, but never tried it! I really need to now! Thanks Debi. I’m kind of glad I’m out or I might be drinking way too much coffee. It was SO good! Never knew making dulce de leche was so easy. I must try this some time. Thanks for sharing the recipe.